 MOBILE, Ala. – The founder of a professional soccer team, a hospital administrator and a seminary professor are among University of Mobile’s inaugural class of Alumni Stars. The seven outstanding alumni were announced as part of Homecoming & Family Weekend 2017 set for Thursday through Saturday, Oct. 26-28 at the Christian university. They are being honored during a luncheon Thursday with UM President Dr. Timothy L. Smith, and many will be featured speakers in classes across campus throughout the day. Alumni and the public are invited to attend homecoming events including the Ram Run 5K and Fun Run. Events are listed at umobile.edu/homecoming17. “The Alumni Stars program was created to honor graduates of University of Mobile while inspiring current students in their future career paths,” said Lauren McCaghren, senior director for alumni programs and annual giving. Alumni Stars were selected by faculty in the school from which they graduated and are featured to current students within the school, McCaghren said. Bradford Forehand of Birmingham, Alabama. Representing the Alabama School of the Arts at University of Mobile, Forehand is director of education for Red Mountain Theatre Company in Birmingham. He is a 2009 graduate with a Bachelor of Music in musical theatre. He earned a Master of Fine Arts in theatre from youth from Arizona State University. “Bradford is a true representation of the heart of UM, that our graduates would enter their fields with a level of excellence and sharing the love of Christ as he is doing for young performers and their families,” said Dr. Al Miller, dean of the Alabama School of the Arts. Jeremy Crews of Waco, Texas. Representing the College of Arts and Sciences, Crews is grammar school chaplain and teacher of world religions at Live Oak Classical School in Waco. Currently, he is pursuing a doctorate at George W. Truett Theological Seminary. He is a 2013 graduate with a Bachelor of Arts in theology and humanities. Morgan Copes of Birmingham, Alabama. Representing the School of Business, Copes is vice president for Birmingham FC, LLC which is bringing a United Soccer League expansion club to Birmingham. He is co-founder of The Birmingham Hammers soccer team that inspired the professional USL Birmingham. He is a 2009 graduate with a Bachelor of Science in business administration. Dr. Kyle Claunch of Louisville, Kentucky. Representing the School of Christian Studies, Claunch is assistant professor of Christian theology at The Southern Baptist Theological Seminary. He is a 2003 graduate with a Bachelor of Arts in religion. “Dr. Claunch is the author of several articles and chapters for various scholarly publications, including the ‘Journal of the Evangelical Theological Society.’ He is also the lead pastor at Highland Park First Baptist Church, where he has served since 2013,” said Kyle Beshears, instructor of Christian studies in the School of Christian Studies. Dr. Ashley Milner of Spanish Fort, Alabama. Representing the School of Education, Milner is now assistant professor of education in that same school at University of Mobile. She is a 1992 graduate with a Master of Education. “Ashley has made significant contributions to education for many years and has made such a wonderful positive impact on the students in the School of education. She has incorporated recent P-12 experiences in each lesson she teachers, which greatly benefits our future teachers,” said Dr. Carolyn Corliss, dean of the School of Education. Dr. Kristen Rather of Saraland, Alabama. Representing the School of Health and Sports Science, Rather is a physical therapist for University of Mobile. She is a 2003 graduate with a Bachelor of Science in athletic training. Rather is the first graduate of the university’s athletic training education program, said Assistant Professor of Kinesiology Melissa Thomas. “Her efforts in and out of the classroom paved the way for other students since the program’s inception,” Thomas said. Philip Streit of Mobile, Alabama. Representing the School of Nursing, Streight is director of medical/surgical/pediatric/vascular access nursing at Providence Hospital. He graduated in 1996 with an Associate Degree in Nursing and again in 2006 with a Bachelor of Science in Nursing.